Bali is synonymous with this sort of exotic beachy, laid back surfer culture—that vibe is also absorbed by some of the resorts in the area. 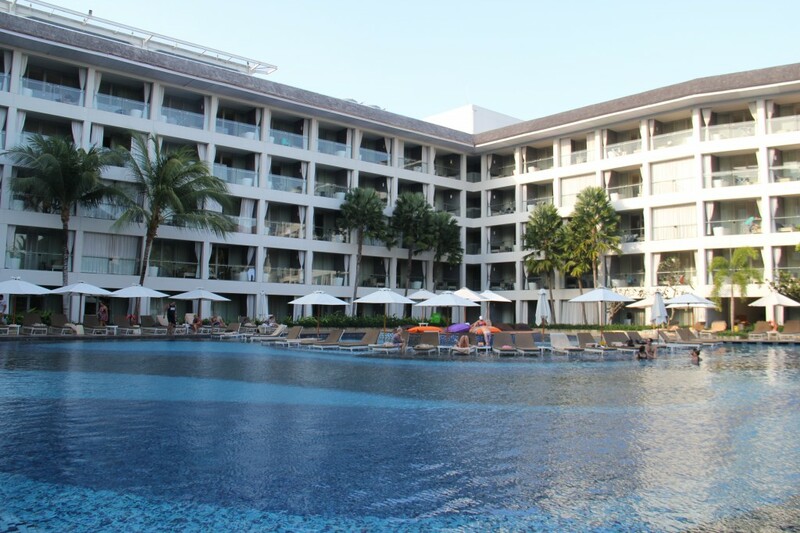 While in Legian, Bali I decided to take advantage of a free night certificate with Marriott at The Stones Hotel-Bali, which is one of Marriott’s Autograph Collection properties and also considered a resort (read no club lounge). There are a few reasons we chose to stay at that particular Marriott property, one reason being the proximity to the beach. The beach is a stones throw away from the hotel. Another factor was that while we didn’t want to spend a lot of time on the more crowded beaches in Bali, we wanted to explore the area for a day and easily walk to to experience the night life without actually being surrounded by loud night clubs and crowded streets of Kuta. The Stones is a category 5 Marriott hotel and costs 25,000 points per night or runs around $160 per night for a standard room. 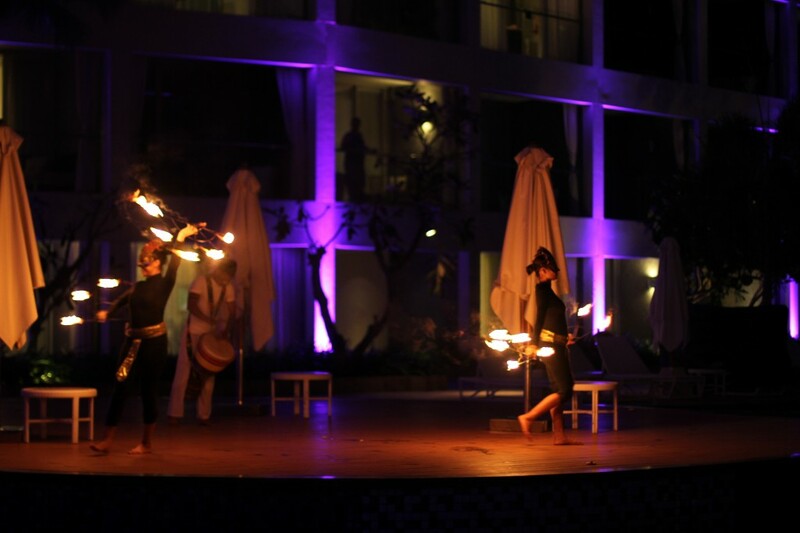 It is ranked #5 out of 62 hotels in Legian, Bali with 88% positive recommendations. As we checked-in we were told there is a rule in Bali that no building can be built taller than the tallest coconut tree, and for this reason The Stones along with all other hotels in the area are no more than 5-6 stories. It was actually refreshing to not see any sky scrapers or high rise hotel buildings since our last two stops were in Singapore and Kuala Lumpur, but it also means you won’t get much of a view unless you are right on the beach. 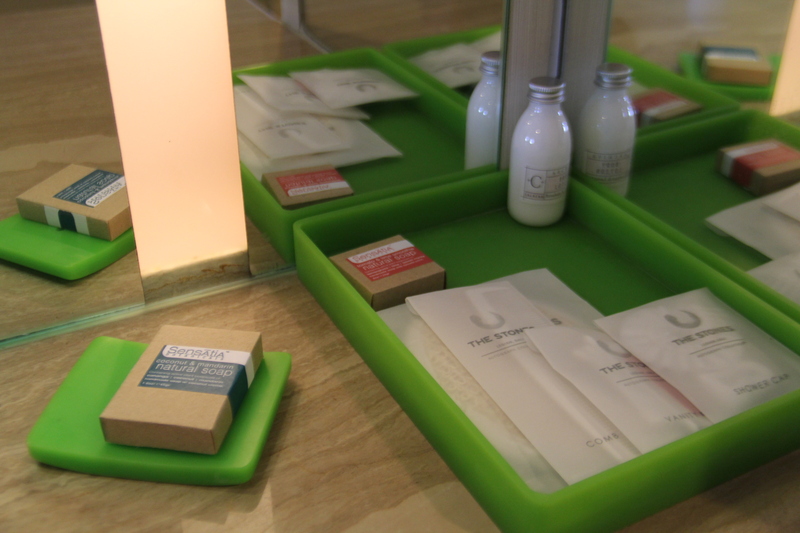 When we arrived at The Stones Hotel to check-in, we were greeted by friendly staff and given a unique welcome amenity: two wet towels which at first were the size of a tums tablet until placed into a small lava rock with water where they expanded, and then take them out to unravel and use. 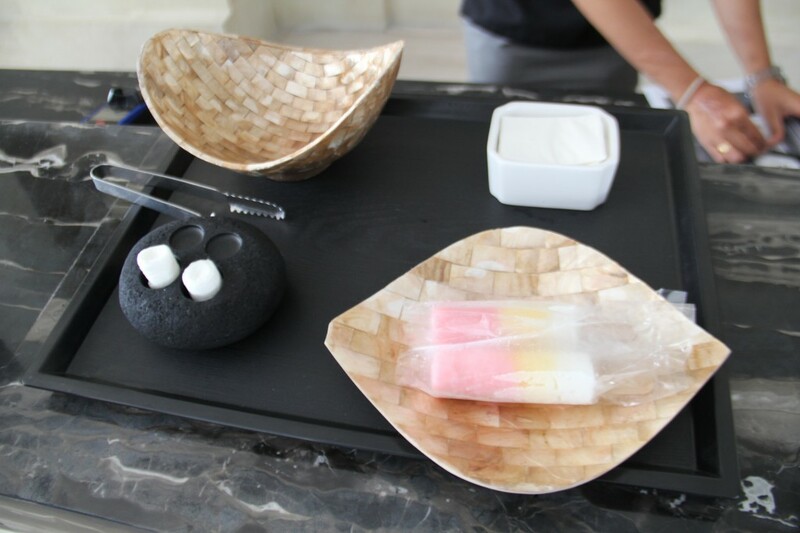 But the best part of our welcome gift was a much needed watermelon and lime Popsicle to beat the heat. 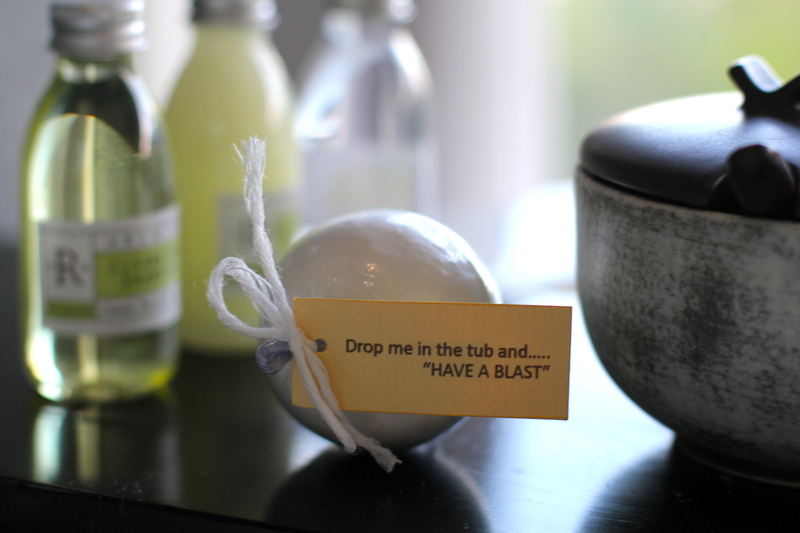 The Stones has the right idea and this added a nice creative touch for check-in. 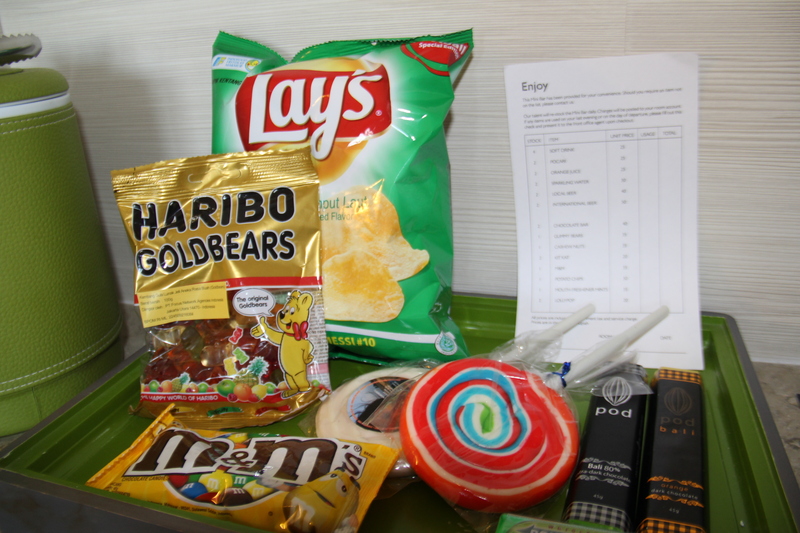 After check-in we were shown our room with Popsicle in-hand. 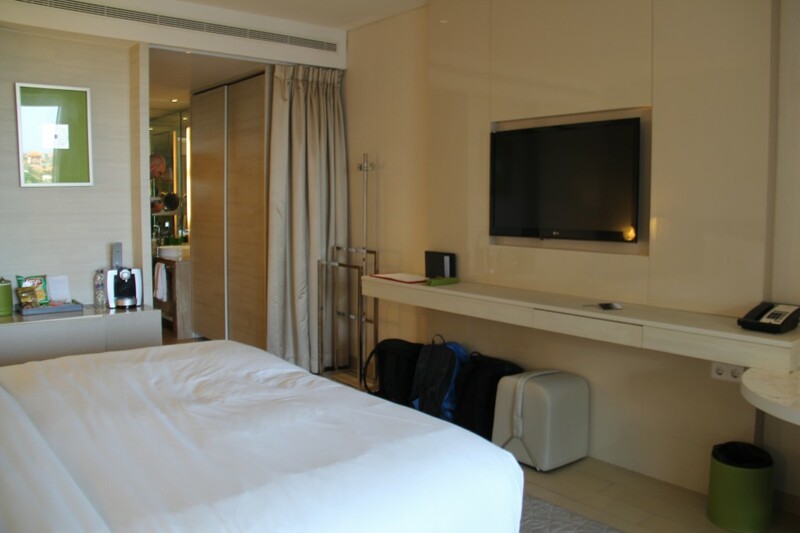 We were upgraded to a Deluxe Pool View room which we found to be spacious and modern. 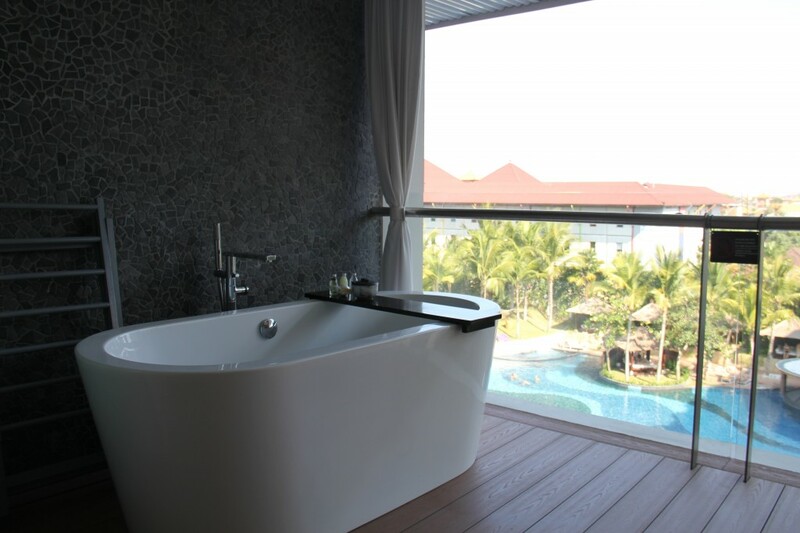 The room also has a balcony with a seating area and a bathtub…yes a bathtub, overlooking the swimming pool area. 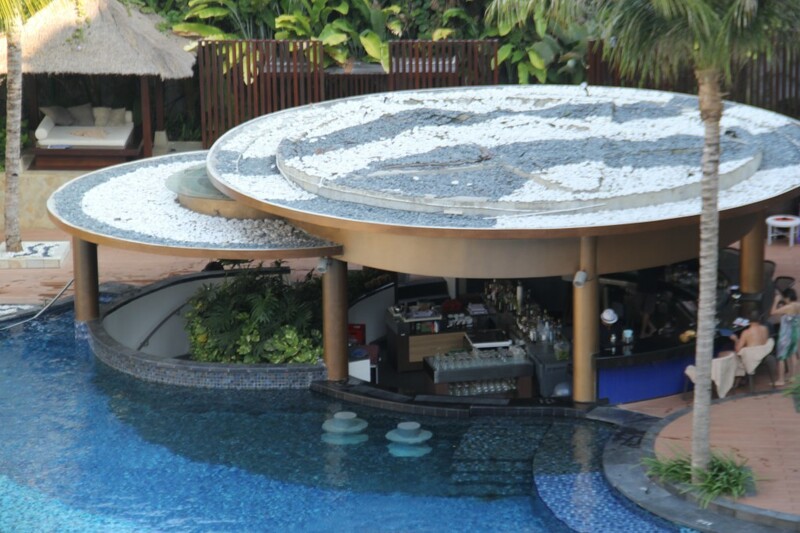 The Stone’s amenities as far as the massive swimming and dining options are all centralized within the courtyard area of the hotel so you get a clear view of anything that is going on down below. For these reasons having a room on a higher floor seems like the best option and gives much more privacy. The room wasn’t huge, but it was large enough with the room’s few amenities organized against the walls, such as the mini fridge, the desk and table under the flat screen television, so the furniture was not cluttering the room. A Bose iPod/iPhone sound system was also included on the night stand as a good touch for listening to music before going to bed, or soaking it up in the tub on the balcony. 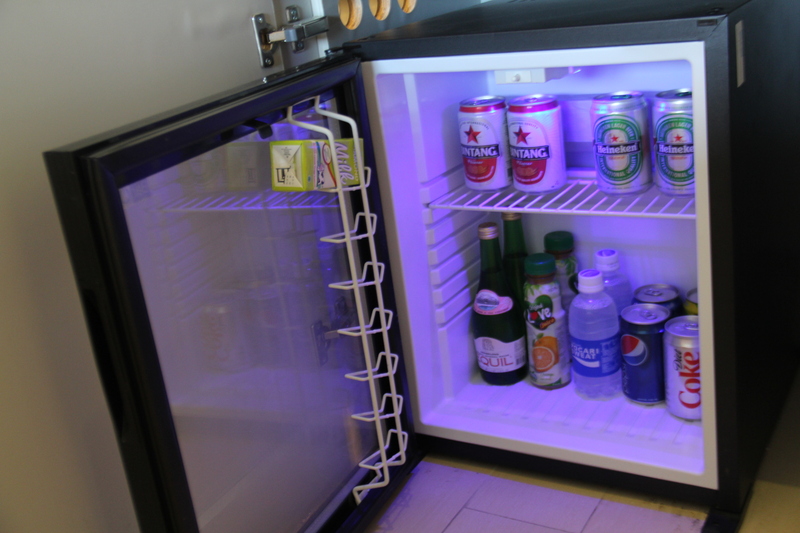 The mini fridge was stocked with different beverages including soda, beer and a milk carton along with a few snacks such as Haribo Goldbears, potato chips, chocolate and over-sized lolipops. 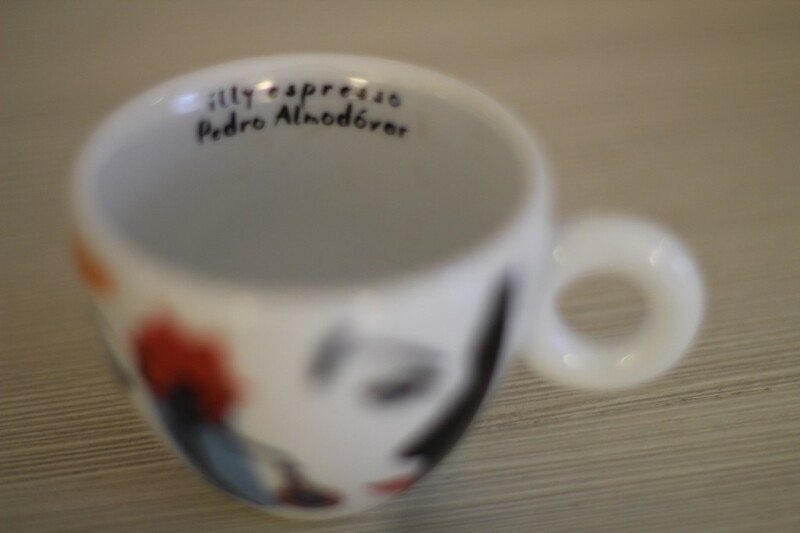 There was also an Nespresso machine that came with the a neat set of coffee cups designed by the Dutch illy Art collection. One happened to be of one of my favorite Spanish screen writers, Pedro Almodovor. 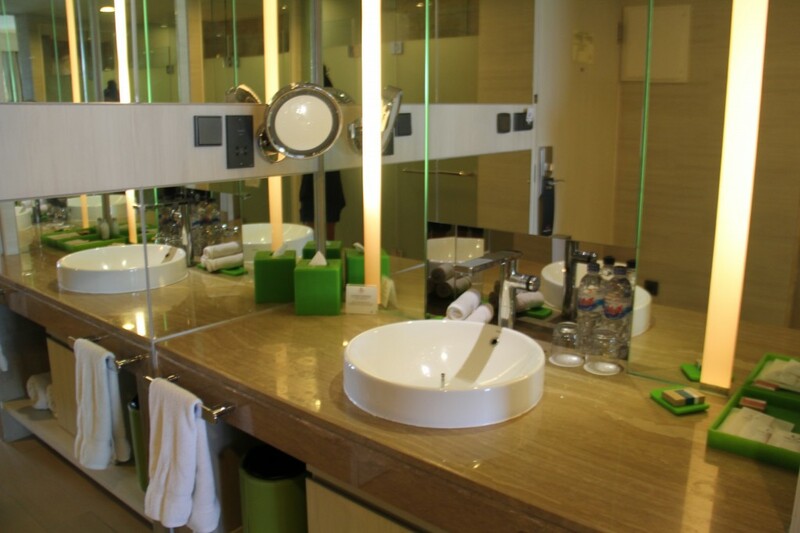 The bathroom area also serves as the walkway into the room, which felt awkward as far as design and could be a bit awkward if you are traveling with a not-so-close travel partner. 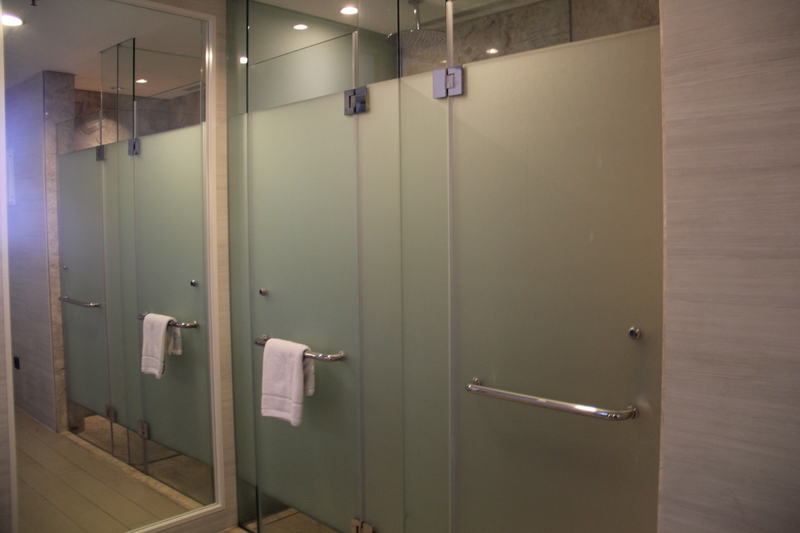 The toilet and shower have their own frosted glass doors so they’re not exposed, are adjacent to the entry door and across from the sink and vanity area. To separate the bathroom area from the sleeping area there is a curtain to block off the area. The bathroom area was still rather large and offered various toiletries, including black volcanic soap from a local companies. Like the rest of the room, this area was airy and felt modern. The shower had a rain shower head, but there was no bathtub in the bathroom. If you want to take a bath you may do so on the balcony! If your room is facing the pool and is above ground level, you have a balcony with a bathtub. Most of the ground level Premier Rooms have a private plunge pool, but because we were on the 5th floor we had a bathtub. If you want to take advantage of the bathtub on the balcony, you can opt in for some privacy by pulling the drapes shut along the guardrails. 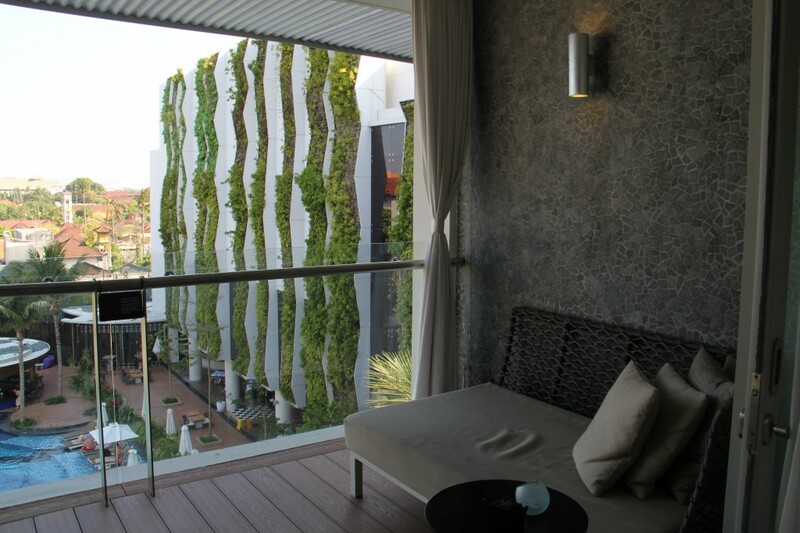 The other option is to lounge on the balcony’s seating area which is a great spot to relax and kickback before heading down for dinner in town or walking on the beach. 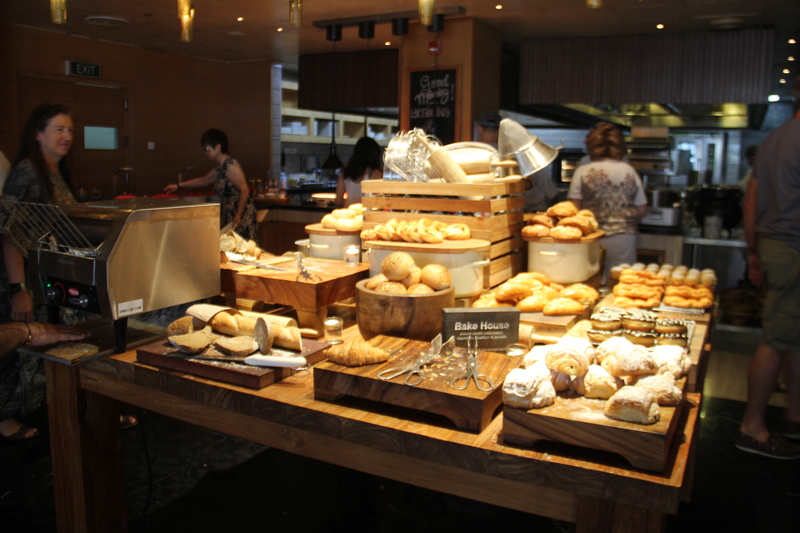 The Stones Kitchen is the hotel’s restaurant located on the ground level which offers breakfast, lunch and dinner. 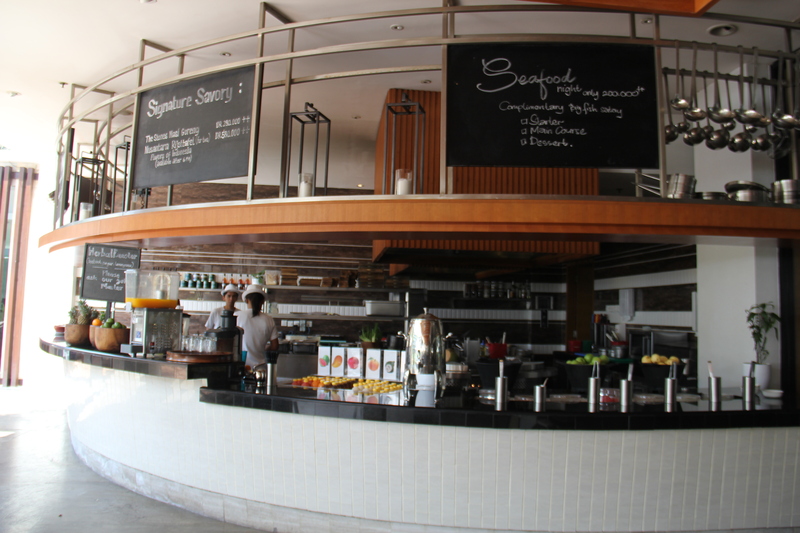 We had breakfast there which is buffet style with mainly western food offered, however they also have a fair selection of Indonesian and Balinese food. Lunch and dinner are not buffet, but they have a menu with a lot of selections including my favorite Balinese noodle dish, Mie Goreng. 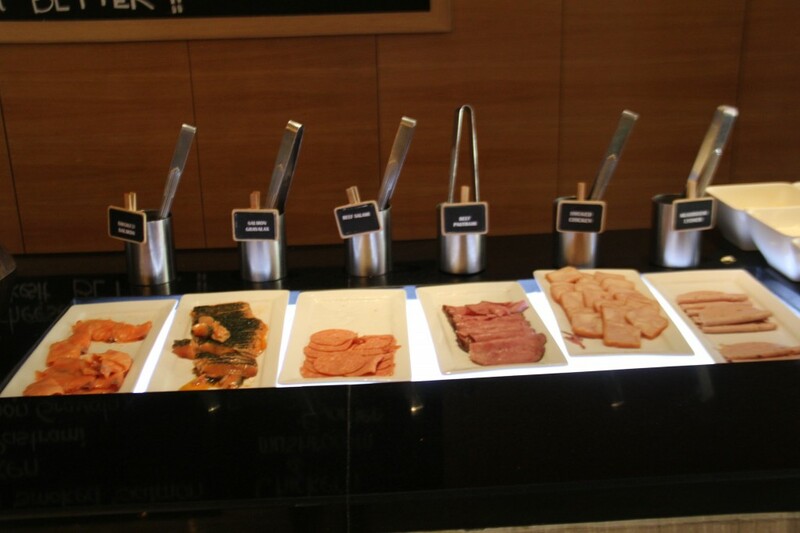 The breakfast buffet was very diverse with options from pancake and waffles, eggs made to order, cereal, smoked salmon, salamis, hot oatmeal, fruit, smoothies, traditional local soups, different types of curry, and ice cream. Yes, ice cream. 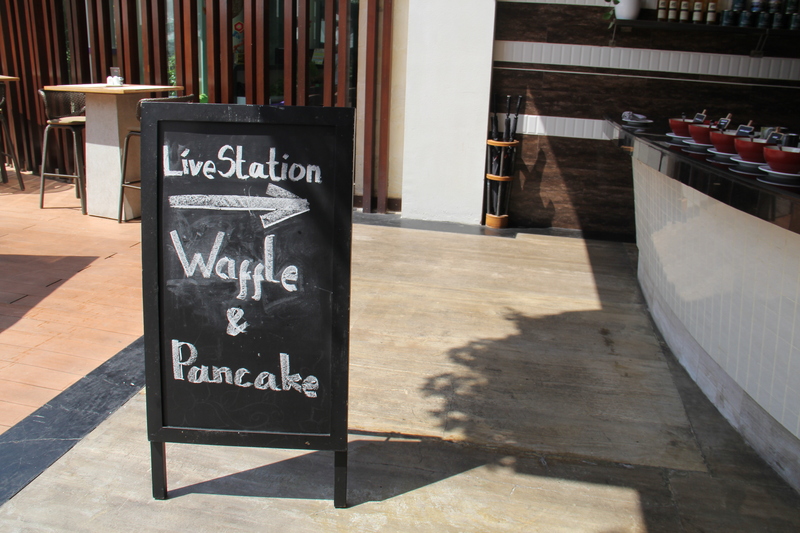 Immediately outside of the buffet is an outdoor kitchen which in the morning serves as a fresh waffle and pancake station and juice bar. 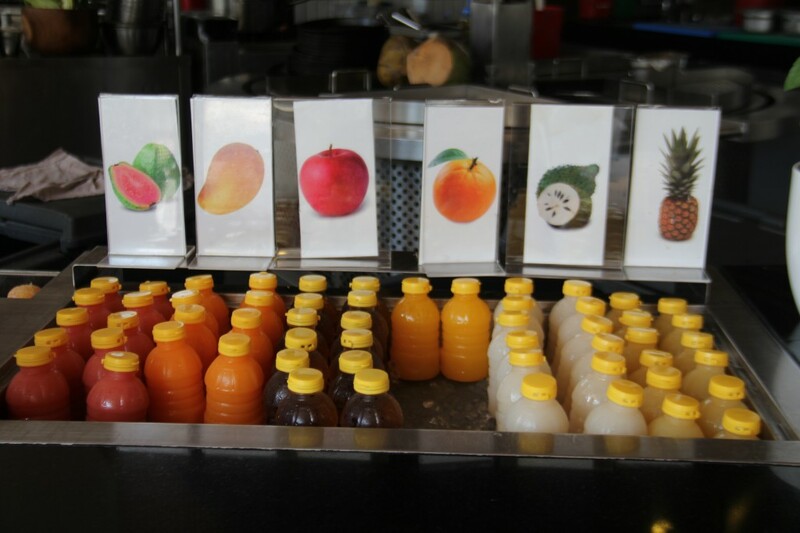 You can either choose from one of the fresh made juices or you can request to have one fresh pressed. If you would like eggs you can make your way to the egg station for eggs to be made to order in any way you want. 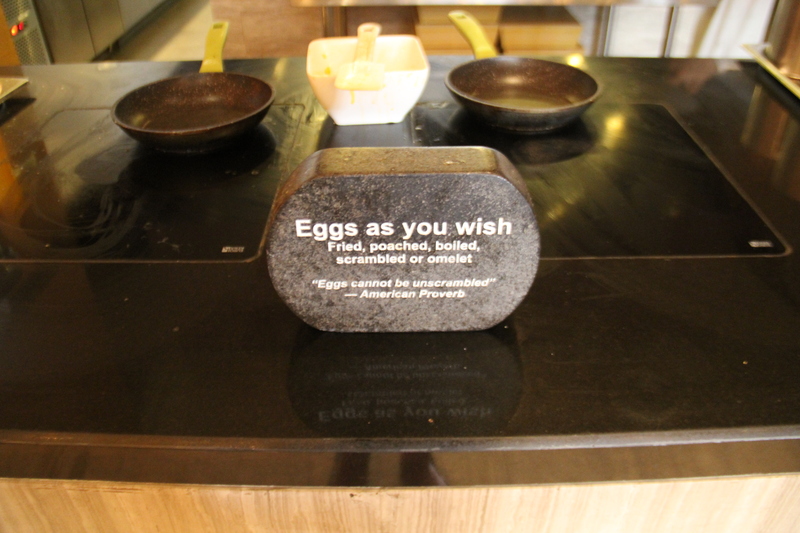 Throughout the buffet area you will find random quirky quotes, like this American Proverb: Eggs cannot be unscrambled. 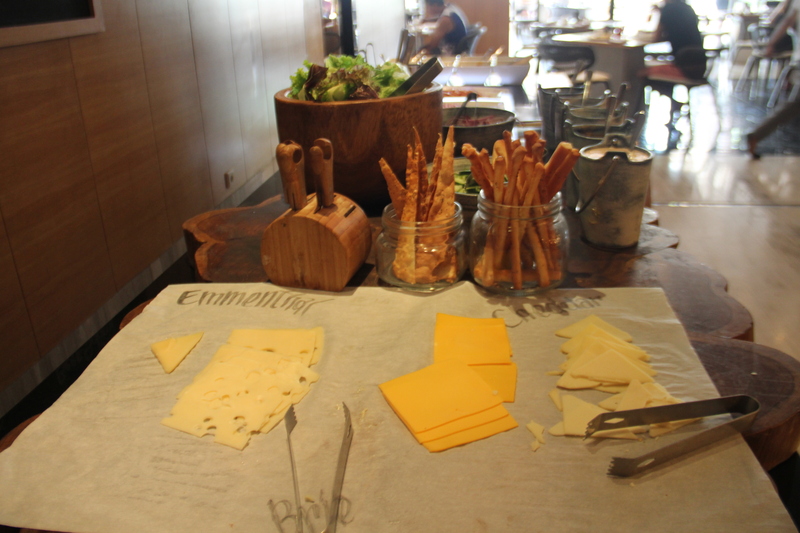 There was also a large selection of deli and grain items including different types of cheese, breads, croissants and if you really want to sweeten your appetite, then they had a few French Crullers and sweet almond croissants as well. 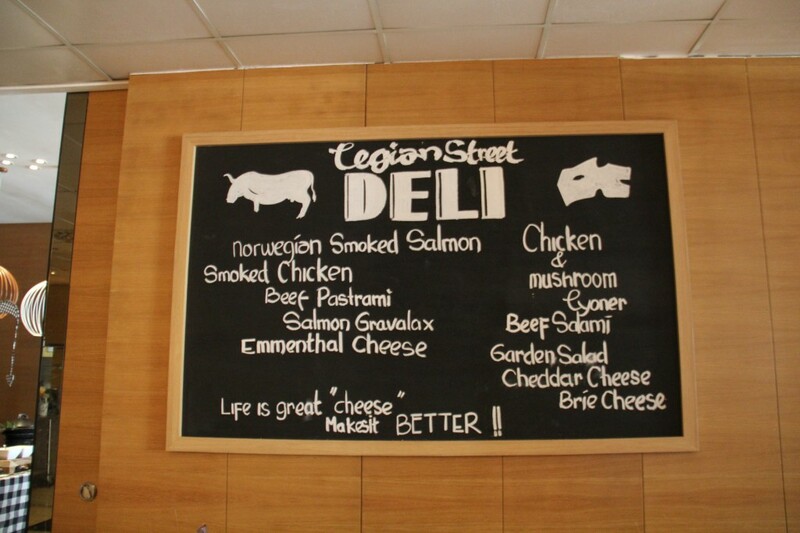 The deli has several options including two varieties of smoked fish, salami, pastrami, salad and an assortment of cheese and different spreads. 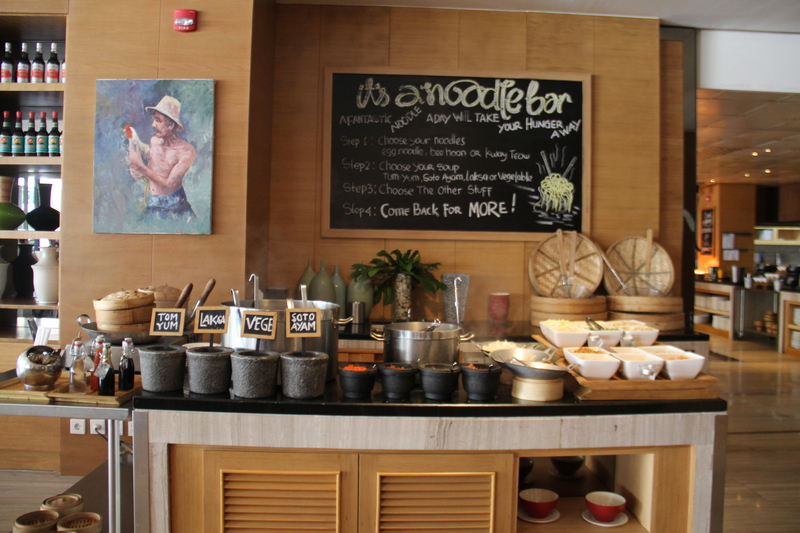 If you want to experience more of the local cuisine the soup/noodle bar is a self serve station where you can add any type of broth and ingredients to make the delicious soup of your choice. 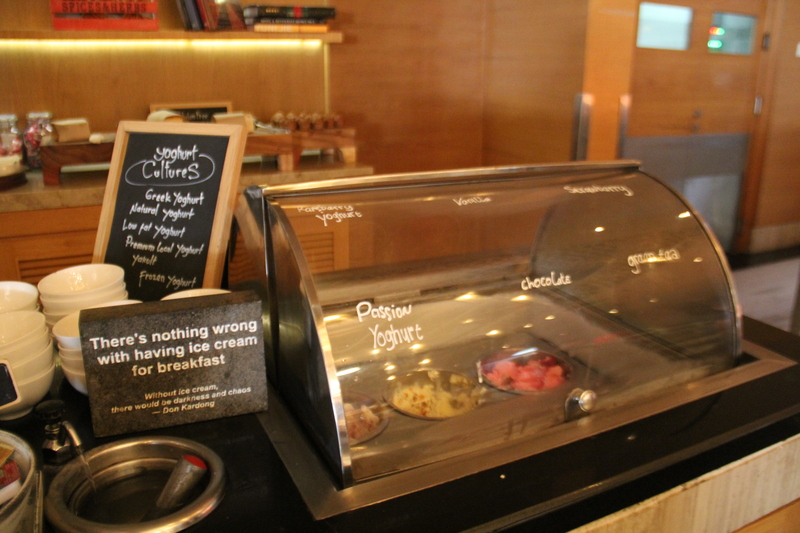 Want ice cream for breakfast? Why not. The ice cream was actually a nice finish to my breakfast and I will say I tried each flavor…green tea, vanilla and chocolate. At The Stones Hotel there is only one swimming pool however it’s very large and has various depths. Some of the more shallows depths have lounge chairs so that you can be in the water without really being in the water. Connected to the right side of the swimming is a large jacuzzi that’s perfect after a long day of hanging out at the beach or walking the streets around town. 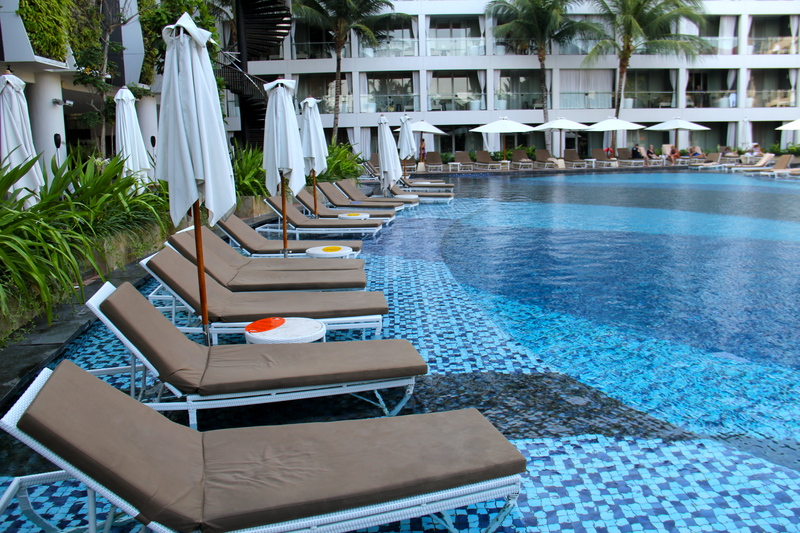 After a few minutes of soaking in the jacuzzi, hop into the swimming pool for the ultimate cool off. 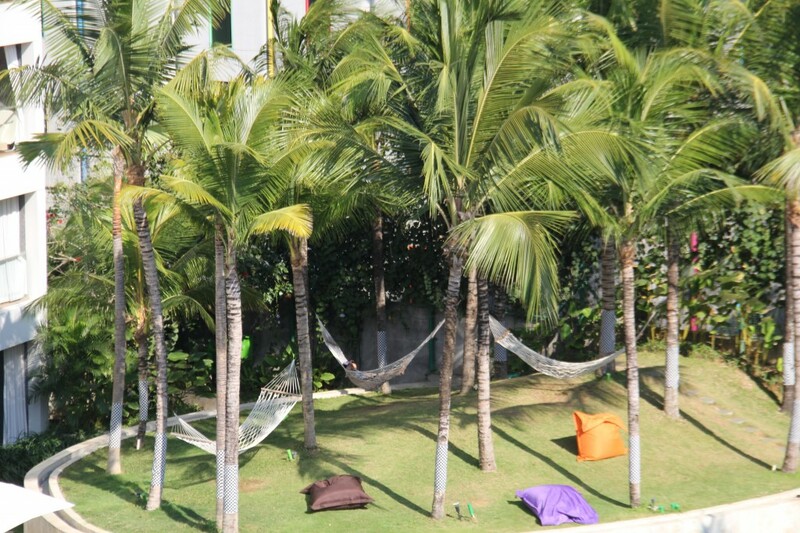 OR take a nap on one of the hammocks under a coconut tree. 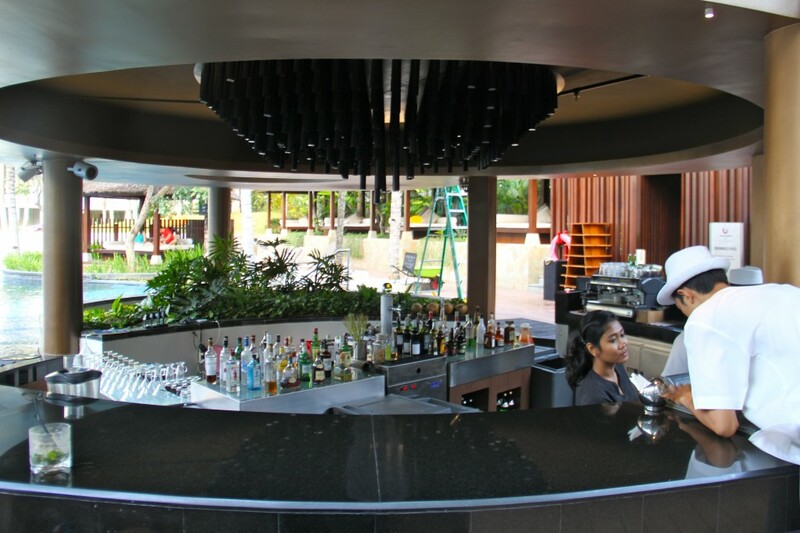 In addition to the poolside restaurant, there is the pool bar which is leveled with the swimming pool where you can sit and order beverages and any food from the menu. 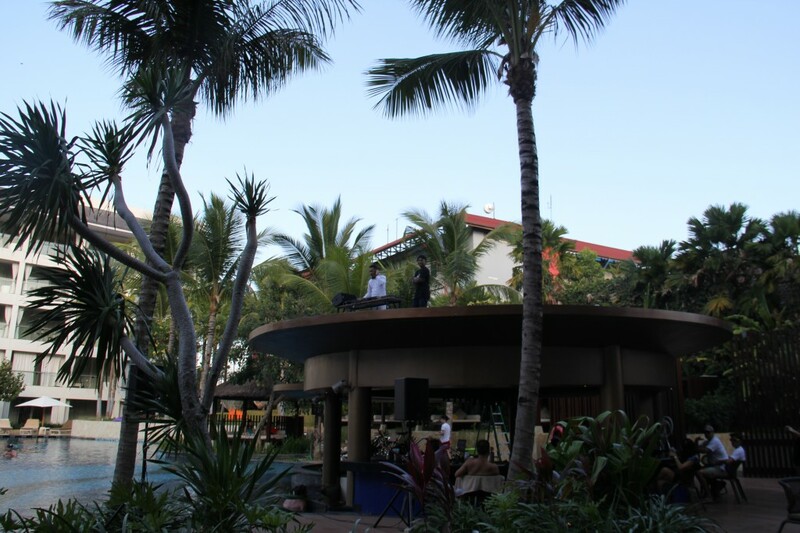 Some time in the early evening a DJ set-up his gear on the roof of the bar and set-off some tunes for a few hours. One thing to note is that if you are looking for absolute peace and quiet at all times of the day, The Stones is not it, but the ambiance and atmosphere of the entertainment is not obnoxious or distasteful. 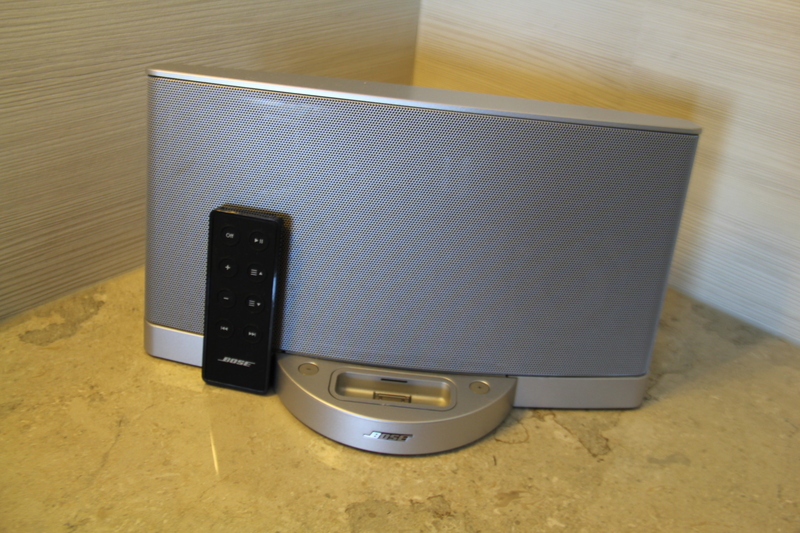 Music and entertainment seemed to end before 7 p.m. so you don’t have to worry about trying to sleep through the night listening to loud bass. 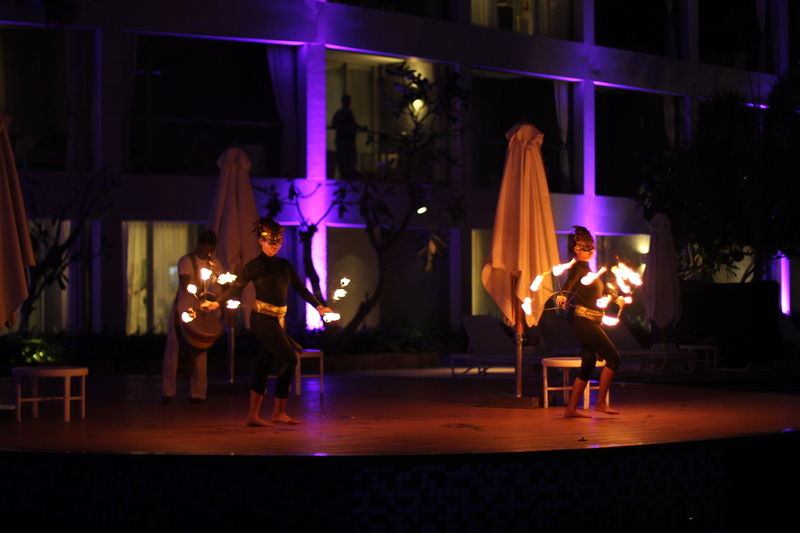 As the day turned into night, a drummer with fire dancers performed which can be watched perfectly from the The Stones Kitchen Terrace or while swimming in the pool. 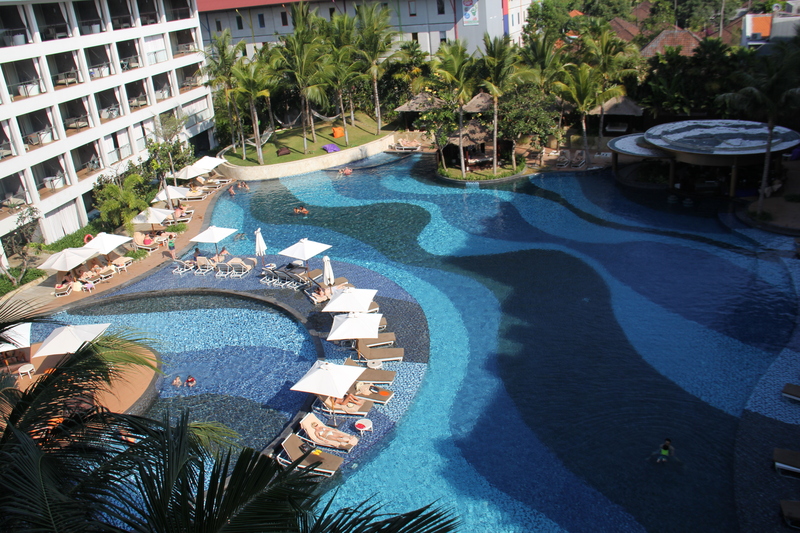 Overall I was impressed with The Stones Hotel during my stay in Bali. 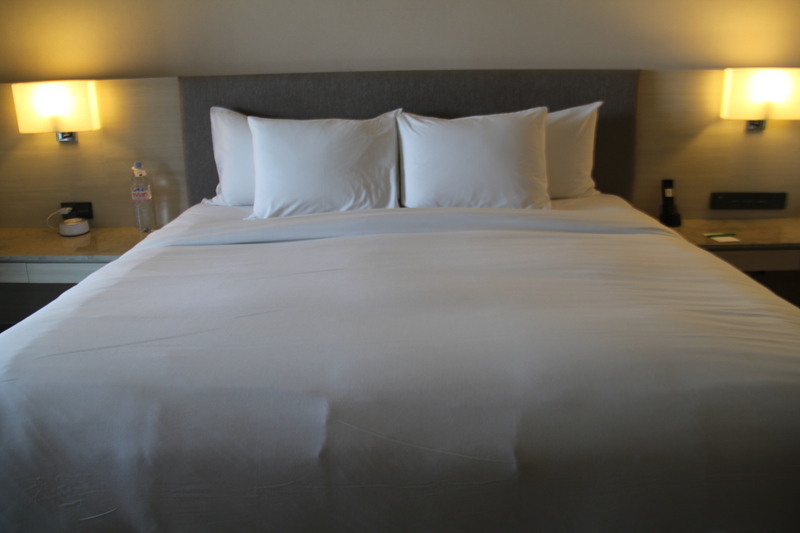 Being that it was the first Marriott Autograph Collection hotel I have stayed in I wasn’t sure what to expect, but I was pleasantly surprised—from the minor design details and food options—with the rather refreshing and relaxed feel of a Marriott it gave off.